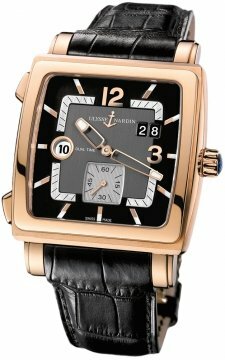 Ulysse Nardin watches was founded in Switzerland in 1846 by a man of the same name. Ulysse Nardin trained under very skilled watch makers and this in turn allowed him to develop his own skills and become widely known for his own watch making ability. 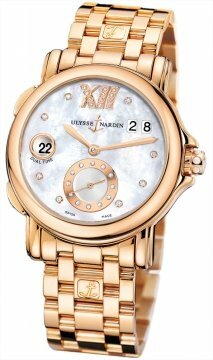 Ulysse Nardin watch making was recognised throughout the years with many various awards for precision and complications. 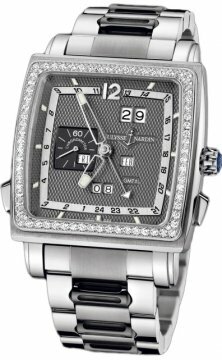 After he died his son took over the company and again the Ulysse Nardin brand received more recognition and awards under his leadership. It was during the 1800s that Ulysse Nardin watches built its strong association with marine and sailing. It found itself the choice time piece for many of the world’s navies because of its reliability and precision. Ulysse Nardin strong ties to marine and diving can be seen with the anchor within their logo. 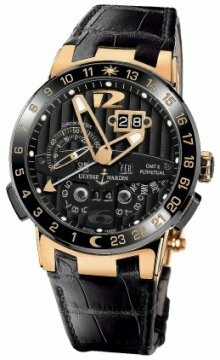 Toward the middle of the 20th century Ulysse Nardin found itself under pressure along with many other watch manufacturers but they weathered the storm to emerge in a strong position moving into the 21st century with a huge range of time pieces and a thoroughly deserved reputation for amazing watches. Its marine chronometers to this day are still a favourite for all things marine. Today some of it most popular Ulysse Nardin watch collections include the GMT, Hourstriker, Lady Marine, Maxi Marine, Quadrato, Royal Blue, and Sonata.